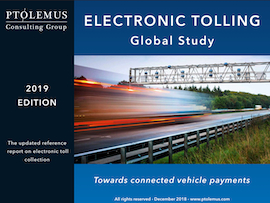 Since the publication of our Electronic Toll Collection Global Study in mid-2015, the electronic tolling landscape has changed markedly in almost every region of the world. Our free 40-page study abstract includes a summary of the key recent and planned activities across 15 markets. Alongside national activity, toll network interoperability continues to advance in India, Colombia, China and Philippines. The European EETS market has also seemingly sprung to life with the registration of 8 EETS providers between December 2015 and November 2018. All the while, advances in technology and lower prices – especially in RFID – are enabling the growth of ETC to more and more markets at more ambitious scales. There is now a wide choice of technology and models for governments to choose from. Tolling worldwide is in fact entering a golden era as governments search for funding alternatives in the wake of rapidly declining fuel tax revenues, combined with a growing need to manage urban congestion and improve air quality. In this report we break down and guide you through the changes above, and much more, giving qualitative and quantitative analysis to key questions. 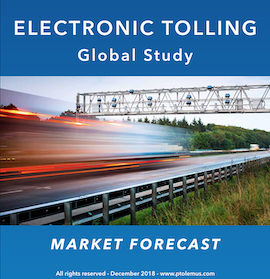 It is the most assertive and well-researched study on the tolling market.